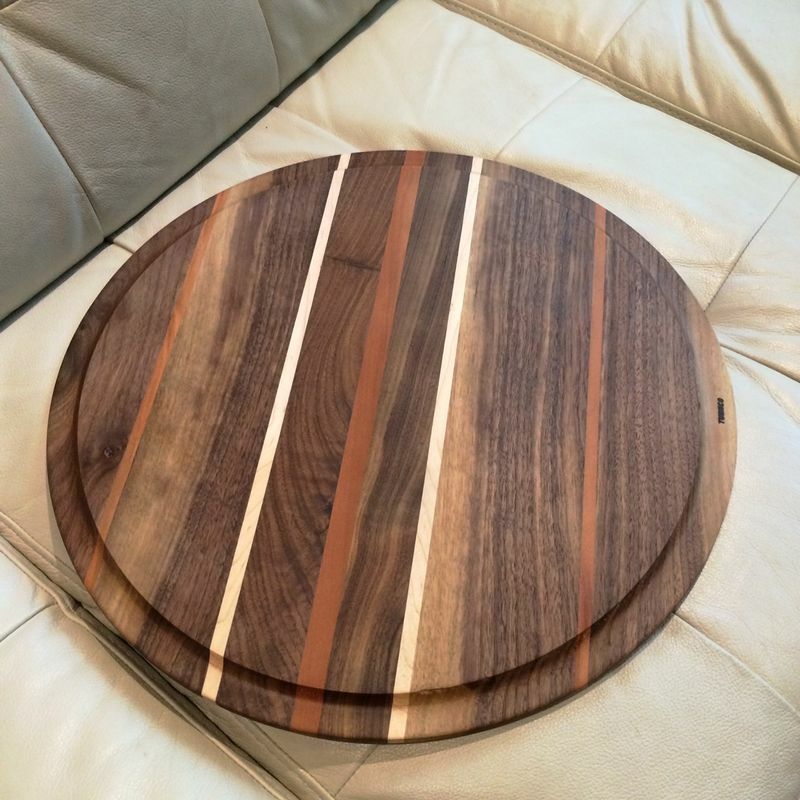 The fine folks at Turnco Wood Goods made us this gorgeous sink-top cutting board a couple weeks ago and we love it! 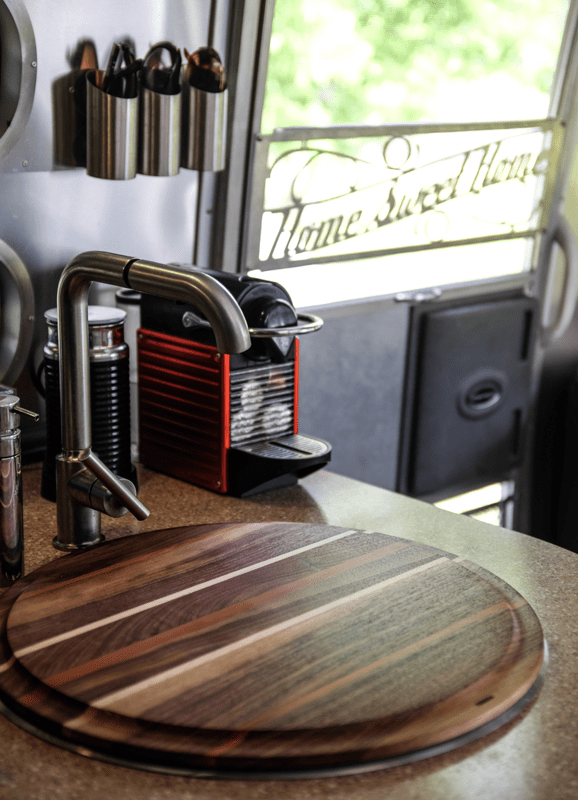 Tiffani and Deke worked with Turnco Wood Goods (based on Whidbey Island) to come up with the perfect size and edge shape to fit the Airstream sink, which makes this item a "Weaselmouth Exclusive" (available via the Weaselmouth website, link below). Ours has a walnut base with cherry and maple stripes. Tiffani and Deke have a lighter maple base with cherry and walnut stripes. Love 'em both!! Here's a link to Tiff & Deke's page where you can see theirs, and order one for your very own.